White Google Nexus S in the Horizon! Take that Apple iPhone! Apple fanboys and fangirls have been waiting for what seems like forever for the white version of the iPhone, and it doesn’t seem like their yearning is going to get satisfied any time soon. In the meantime, the boys at Google (and Samsung) have been busy and are taking things one step further. 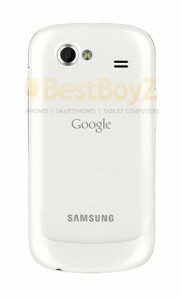 The online rumor mill is now abuzz with news about a white Google Nexus S. According to BestBoyZ, the white version just might be hitting the shelves in the very near future. 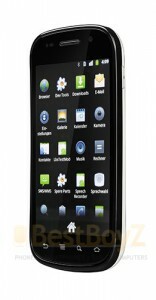 The new Android phone from Google has been out in the United States and the United Kingdom for a while now. If you visit the Google Nexus S page, you’ll be redirected to Best Buy to purchase the phone. However, the only available model right now is the black one. With a new 2-year contract with T-Mobile, you can get the phone for only $199.99 (instead of $529.99). So anyway, if a white phone is what you want, you might want to consider the Nexus S instead of waiting – indefinitely – for the white iPhone. I am not sure if the white version is going to be available worldwide or if it is only going to be released in Germany. The guys at BestBoyZ say that they have a “confidential and trusted” source. (I hope I got the words right as the site is in German and rely on Babelfish for translation accuracy.) They also say that the phone will come with Super AMOLED. Without any further ado, here are the leaked photos. Unfortunately, the front still comes in black, so the whole thing will not be white. Half white is better than no white at all?